Christmas has Costume needs a-plenty. 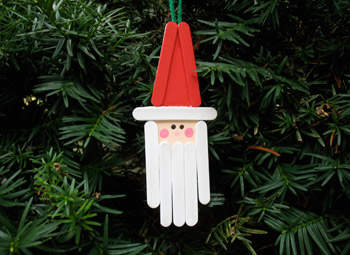 After all, isn't that Santa Claus that your children see leaving presents under the Christmas Tree on a chilly Christmas Eve. Isn't that Santa Claus that's passing out Christmas Bonuses (if you've been exceptionally "nice"... not "naughty"... that is :-) at the Annual Christmas Party where you work? Of COURSE it is... Good Ole Saint Nick (as some call the happy, robust man of Christmastime). 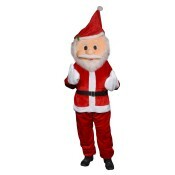 SANTA CLAUS is definately the STAR of Christmas, and thus his apparel - Santa Claus costume is what is the most often "donned" when dressing for many Holiday Festivities. 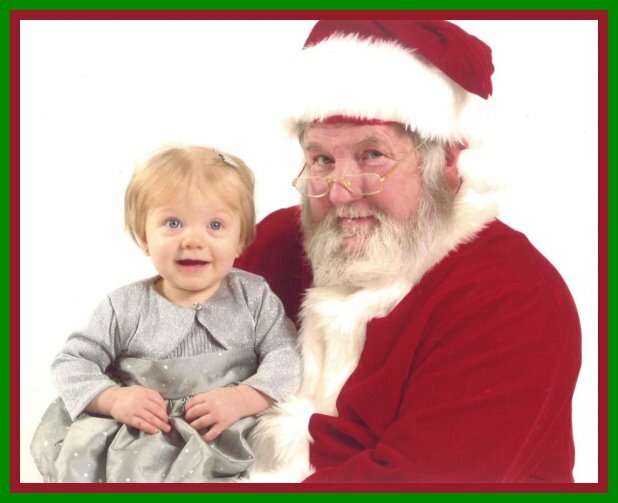 There are Santa Suits for all ages (as you may note by the picture of one of my newly borne Grandsons in the picture below :-) and they come in a number of fabrics and even in several "styles". Well... not for a LONG time anyway! Santa Claus being the MAIN guy... we shouldn't forget Santa's Elves and his Reindeer... or Frosty the Snowman... I've seen them march in Christmas Parades...and even performing on-stage in school plays as my children were growing up. 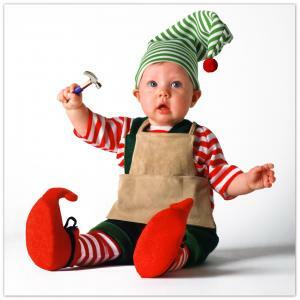 Santa's Elves are often seen wrapping presents at toy and gift store counters. I've often seen, and heard, Angels singing in choirs in churches and even at Malls during the Christmas season. Dressing-UP for Christmas, be it for a Christmas Party or just because you want to feel Christmassy while taking a walk through town can put you in a Christmas mood and feeling all of the magic that the season brings. 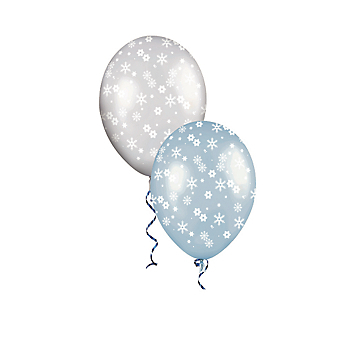 The "mood" of Christmas for me is one of "giving" and of "sharing". What better way to do either..than while in COSTUME!? 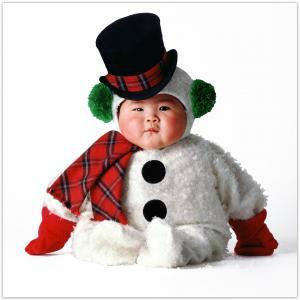 I think that seeing people in Christmas Garb helps to awaken the Christmas spirit in us all. 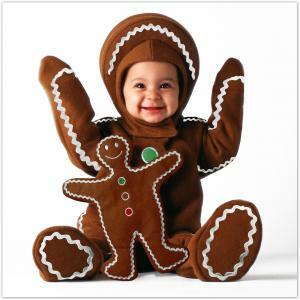 Thus, by wearing Christmas Costumes we are spreading Christmas Cheer ourselves. Now THERE'S a HAPPY THOUGHT! 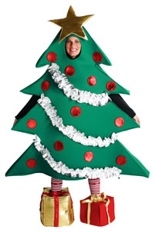 If you are of a creative nature, you may wish to MAKE your Christmas Costumes (take a look at this creative homemade Christmas Tree costume!) If you have a sewing machine that you actually USE (...unlike me I'm ashamed to say. Mine has been collecting cobwebs for a few years now.) ..then you probably know that you can go to Simplicity.com and find Patterns for literally ANY Costume. 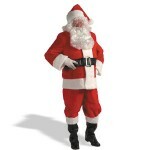 They have LOTS of Christmas Costumes.. including Mr. and Mrs. Claus. If you'd like to make Christmas Costumes but you don't SEW exactly Ü..there ARE some more "crafty" ideas to be found on line. 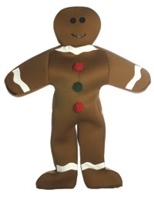 Basically...if you'd like to "make" a Christmas Costume..but you aren't into sewing....USE your Search Engines. 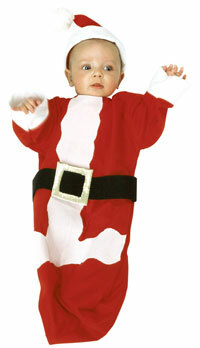 Type in "Homemade Santa Suit" or "Homemade Shepard Costume", etc....and you will call up MANY links to crafty ideas on making a particular costume. 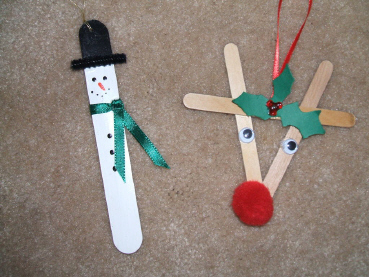 There are LOTS of craft sites that offer Homemade Costume Ideas for the Christmas Holidays. 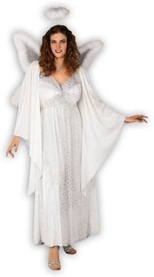 FYI...Most of the Costume stores that I provide links for have religious costumes of the day also. 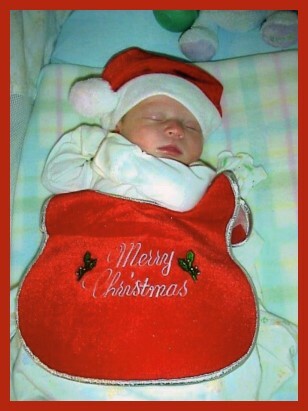 Above is a darling Santa Baby Bunting from Costume Craze. 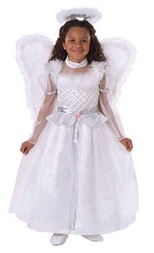 Angel Costumes are a very appropriate Christmas Costume and Costume Craze has several styles, for all ages and sizes, to choose from. And now let's think about HATS! It's cold outdoors in most places at this time of year and as we've all come to know..most of our HEAT escapes through our HEADS! (pretty crazy I think!) SO! If you are going to be traveling.... or just hanging out outside in any cool weather...I'd say it's wise to have something covering your head for practical purposes...such as keeping the HEAT in. BUT! 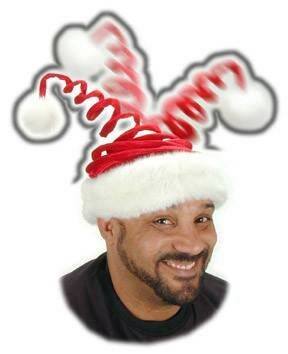 Better than THAT!..I'd say let's find us some funny, funky, or BEAUTIFUL headgear to add to our personal decor this Holiday Season! 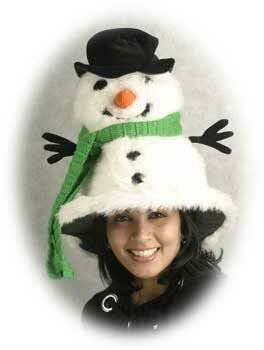 Of course most Costume Stores carry Hats to go with Costumes and Christmastime is no exception. There are TONS of Christmas HATS to be found in any of the shops I post here. Above are some examples of Christmas Hats to find at The Village Hat Shop... From a "Kiss Me", Mistletoe Springy Hat to a Santa Longstocking Hat. 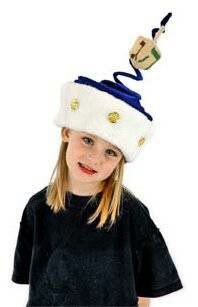 So when you're out in that Chilly Christmas or Hanukkah weather, DON"T forget to put a "lid" on it..On your HEAD that is! Especially the young ones..conserve their warmth with a Hat. While you're at it...make a hat a FUN thing! 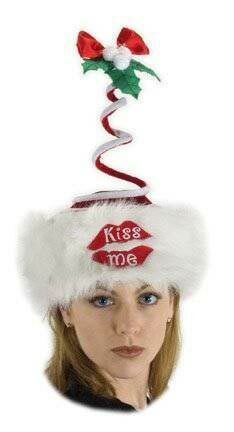 Even if it's the ONLY "Costume" you wear for Christmas...Keep things EASY and simply do a Holiday HAT! Christmas is a time when we simply DO NOT want to leave anyone out. It's a time that we stop and think about ALL of the friends we've made ON LINE and we would really like to let them know that they are counted amongst the ones who we would like to give our BEST HOLIDAY WISHES to. Check out 123Greetings.. They have a fine collection of Holiday Cards AND they are FREE! Remember, One does not always have to spend a lot of money to let someone know they are special. You may better do so by using just the right words to express how you feel. I will put a few links below for you to check out..and don't forget those Search Engines! 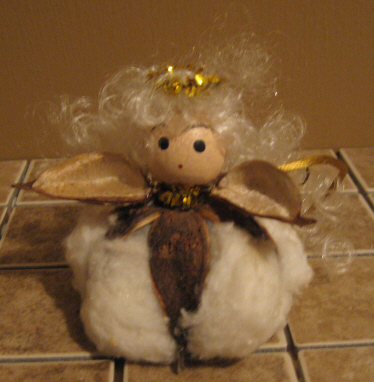 Type in "Homemade Christmas Decorations" and prepared to be WOWed at the amount of sites/links you will discover. OR If you aren't the "crafting" type Ü ....Try checking out a store or two on line to find everything from Christmas Lighting to Christmas Trees to Christmas Wrapping Paper and Christmas Stockings. 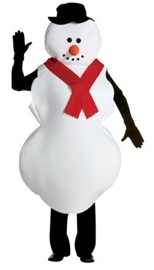 I DO realize that this is a "COSTUME" website...BUT! Let me just say that Dressing-Up ones HOME is detrimental to the Christmas MOOD and of THAT I'm sure we are all aware.